Looking to try something new? Let’s go go-karting! 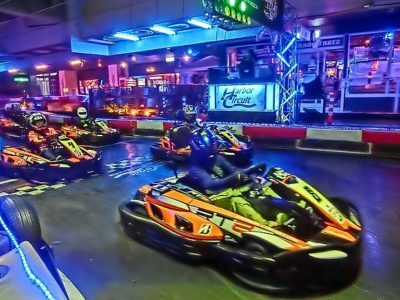 The indoor circuit provides exciting sharp corners, twisty turns, junctions, and tunnels that will test even the experienced drivers, but is also beginner-friendly. After a brief safety instruction, we will hold group endurance races as well as individual time trials.